Rich fabrics with clean finishes with a brilliant touch of edge came to play in this collection as the brand catered to different tastes by brides. The collection know as VRAI, a French interpretation for TRUE depicts how every woman should look and remain true to their essence, their sense of style and personality especially on their wedding day. The collection has in line classical ball dresses, bridal dresses in black with corset detailing, rose petalled detail ball dress and peplum jumpsuit. 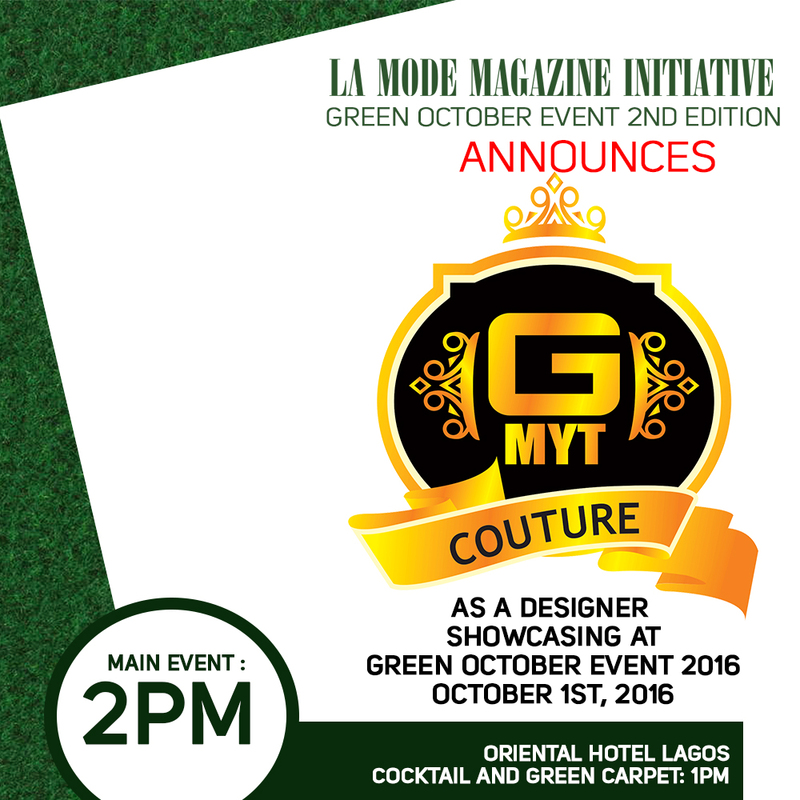 GMYT Couture Showcasing At The La Mode Magazine Green October Event 2016 Edition!